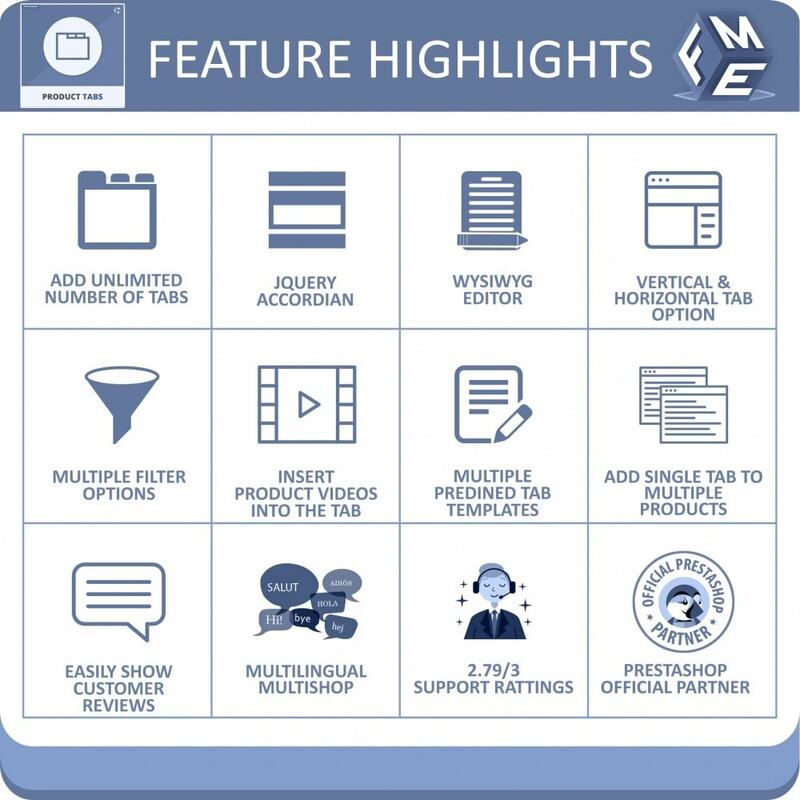 Now with File Attachment option you dont have purchase another extension to display downloadable files on product pages. Go to Catalog > Files to access default feature of Prestashop to upload files. Once the files are uploaded you can select and attach those files on product pages while creating "File Download" tab from our module settings. 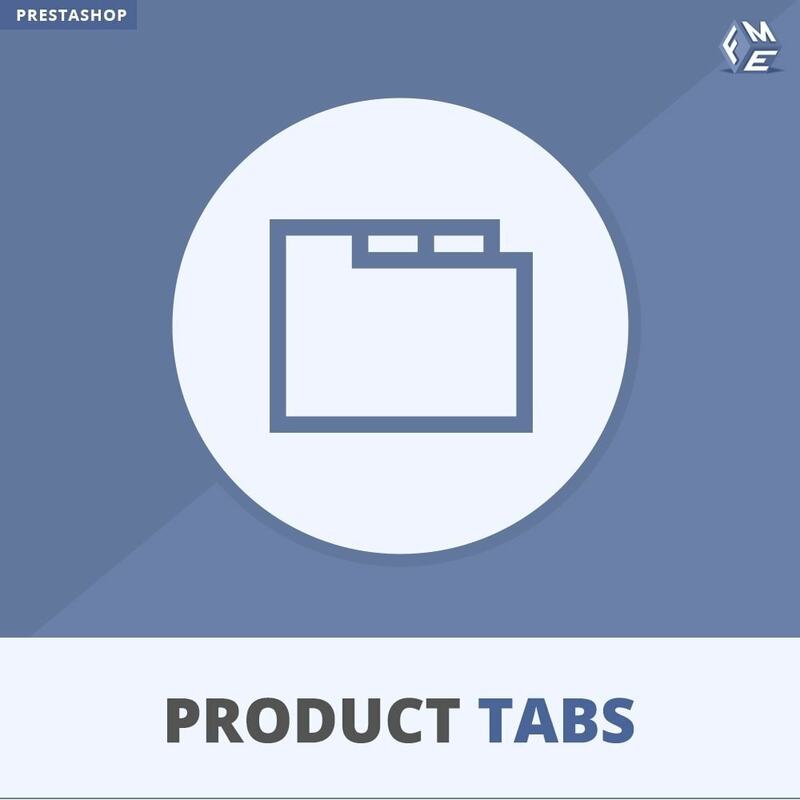 The PrestaShop extra tab module incorporates WYSIWYG editor that allows displaying information in professional format. 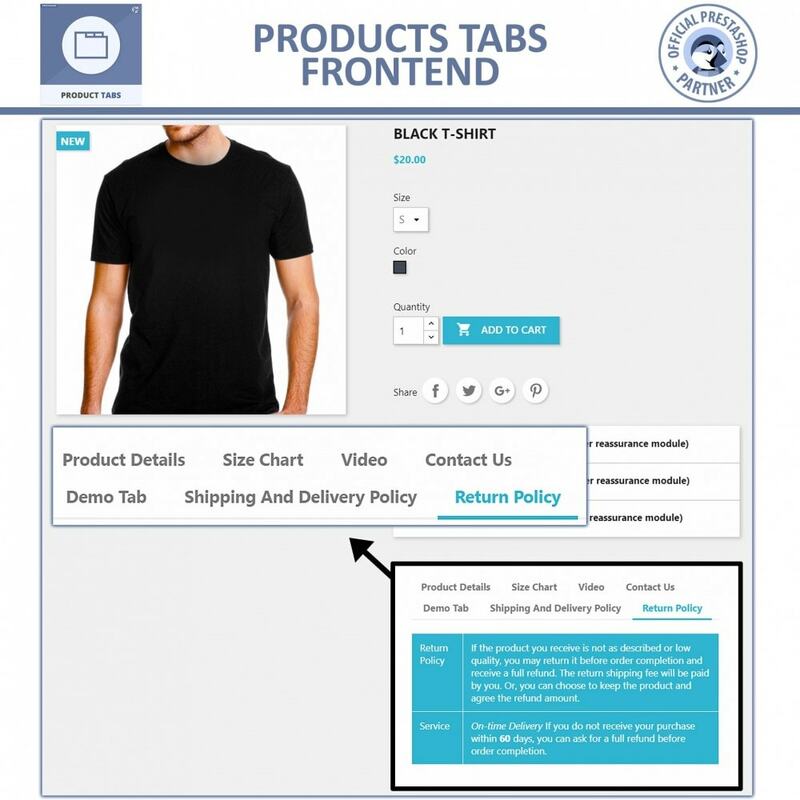 Store owners can take advantage of features like custom tab labels, enabling/disabling of tab, user-friendly & easy to configure backend interface. 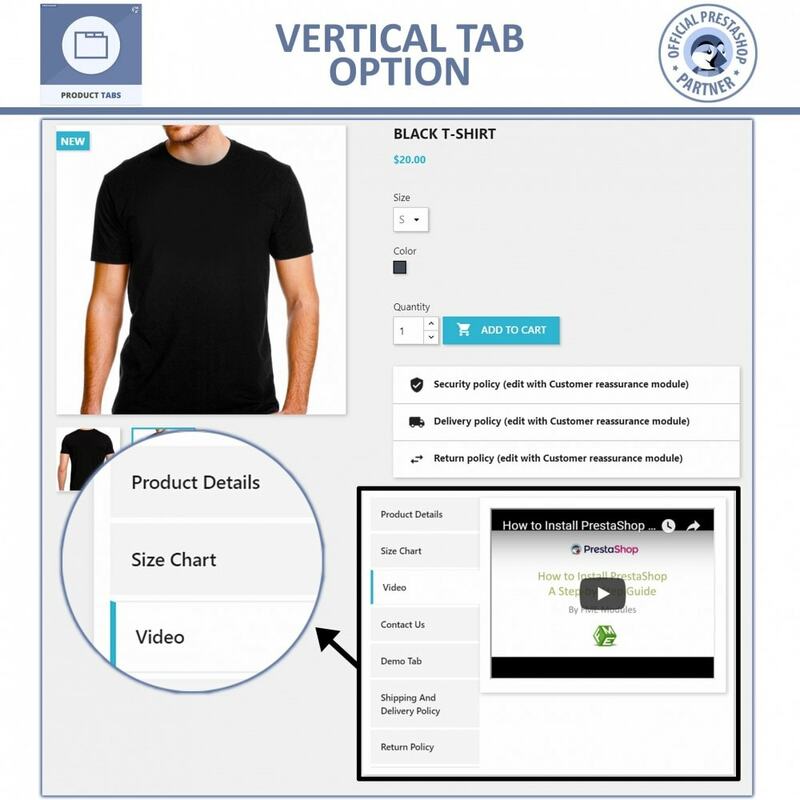 Make use of pre-defined tabs pre-defined tabs - Size Chart, Enquiry, File Download, Video.